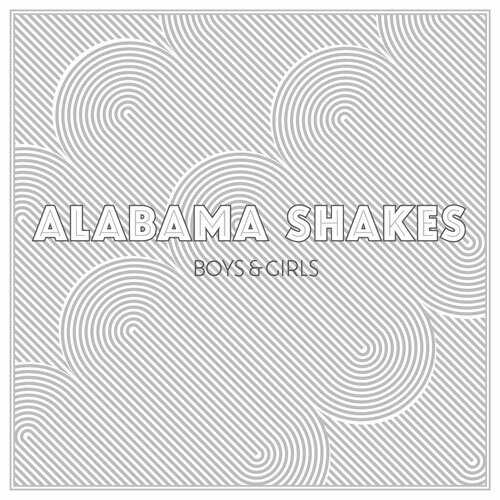 The Alabama Shakes are a new band and have gained a ton of momentum, seemingly to get more popular daily still. Every now and then an indie band comes out that has a ton of potential beyond their big song. As “Hold On” gets played repeatedly on the radio there is still much more to this young band than a couple of good hooks. I was scared to try the Alabama Shakes after getting burned by similar band numerous times recently like Foster The People. The Alabama Shakes passed the test though and have legitimate talent. Each listen to Boys & Girls reveals something new it seems, it really does feel like a special record. The voice of lead singer Brittany Howard is the first thing to impress. The very ’70s feeling vocals bring to mind back when R&B was backed by good bands that played real instruments. The band is obviously no slouch here either. Repeated great bass lines are turned in by Zac Cockrell and each song has an impressive guitar lick that makes every song have a different feel. The brilliant hit single “Hold On” is the best song on the record, hands down. “Hang Loose” has potential to be a great radio song as well if it gets the push. These songs are part of the reason side A of the record shines above side B. While the record is a bit front loaded it is still likely the best debut of the year so far and you will see it all over top 10 lists at the end of the year. This entry was posted in 250 word album reviews and tagged 250 word album review, 4 Stars, Alabama Shakes, Boys & Girls, Boys and Girls, Brittany Howard, Heath Fogg, Steve Johnson, Zac Cockrell. Bookmark the permalink. This is one of my favorite albums of 2012 so far.